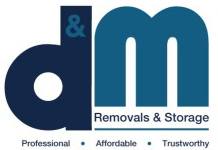 D&M Removals are a removals company covering Bedford, Northampton and Milton Keynes. As a family run company, we are proud to offer safe, secure and personal service so you can feel satisfied we will take good care of your belongings. We are fully insured, with clean, tidy and well kept vehicles, and our staff are friendly and experienced. Whether you’re moving a few small items, or a full house, we can help. We provide a full packing service, and have storage facilities. With 16 years of experience in removals, you can trust that we will look after you every step of the way. So speedy, friendly, helpful and looked after my 'stuff. Had to ask them to pick up all the screws lying on the van deck when they'd finished so that I stood a chance of putting my furniture back together.